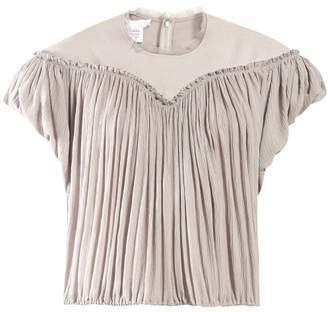 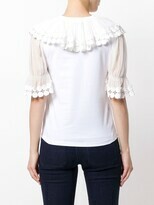 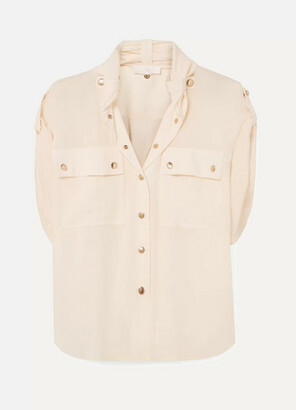 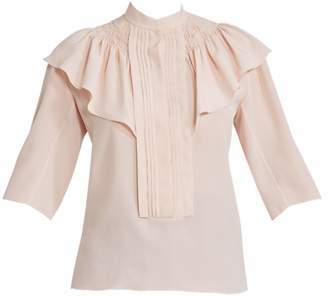 The white T-shirt is given a feminine makeover from Chloé. 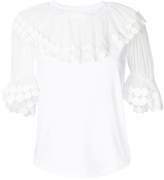 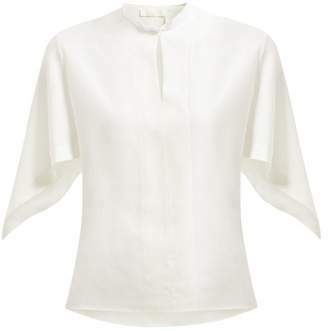 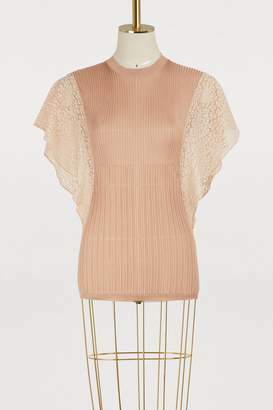 Constructed with a cotton body, this white top is designed with sheer silk sleeves and a front yoke with circular details. 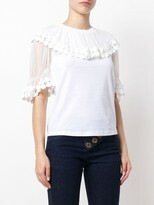 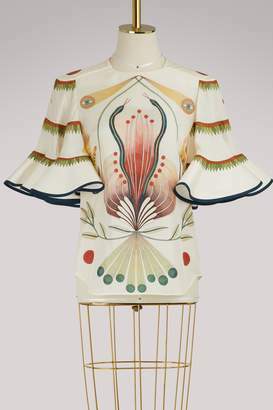 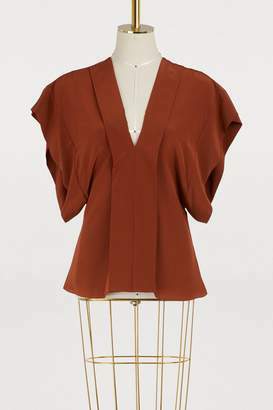 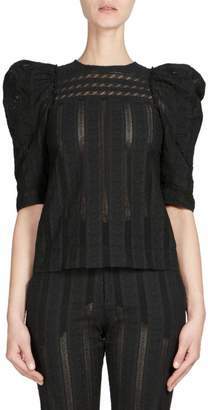 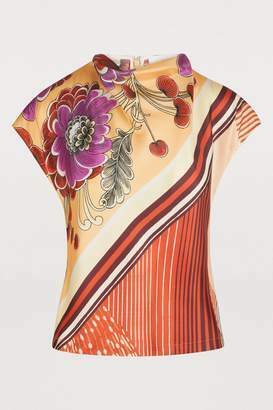 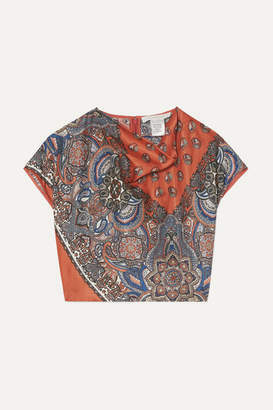 It features a round neck and short sleeves.